One of the most effective ways to control oily skin is by applying homemade facemasks. If you daily struggle with a face that appears like an oily shiny pan, you must be knowing how difficult it is to control it. You must also be knowing about the huge array of oil-control products that are not worth buying, instead makes the condition worse. Oily skin not only makes your face look dull but also can create a lot of annoying skin conditions like blackheads, pimples, acne, etc. Nevertheless, we have come to your rescue. We have searched a lot to find the best remedies to control oil, especially on the face. Oil comes on your face when the sebaceous glands are secreting sebum more than the required amount. 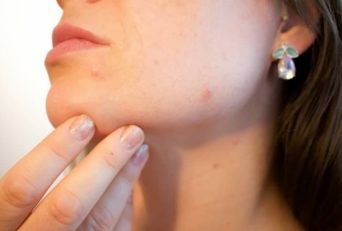 The remedies chosen by us focus on how to control the oversecretion of sebaceous glands and thus control the oil on your face. Down below there are a good number of DIY face masks for oily skins. These face masks can be prepared with kitchen ingredients. Not only these will cure oily skin but also will give your face the required glow and shine. What are you waiting for scroll down to select the best DIY face masks for oily skin? The homemade face masks for oily skin that we have selected are extremely natural. You won’t face even a single side-effect by using them. Papaya does wonder for all the skin type. However, it is a savior for individuals with oily skin. 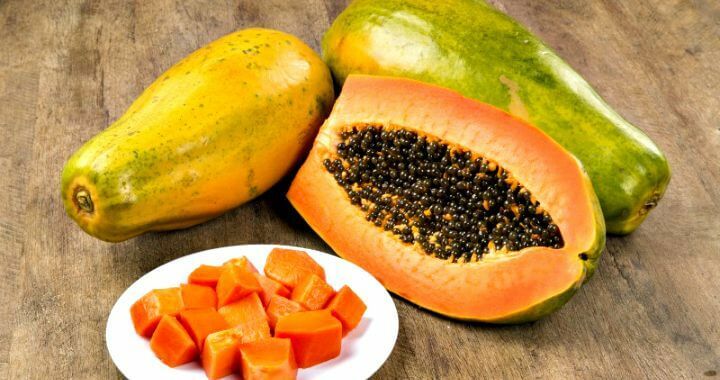 It has an active enzyme papain that makes your skin flawless, reduces excess oil production, and also lowers down any skin pigmentation. It is one of the fruitful homemade face pack for oily skin and acne. 1. Take a ripe Papaya. Peel it, cut it, and mash it to make a puree of it. 2. Once mashed thoroughly, apply the face pack all over your face. 3. Let it sit for good 20 minutes. 4. Next, wash your face with water. Do this daily to keep the oil away from your skin. 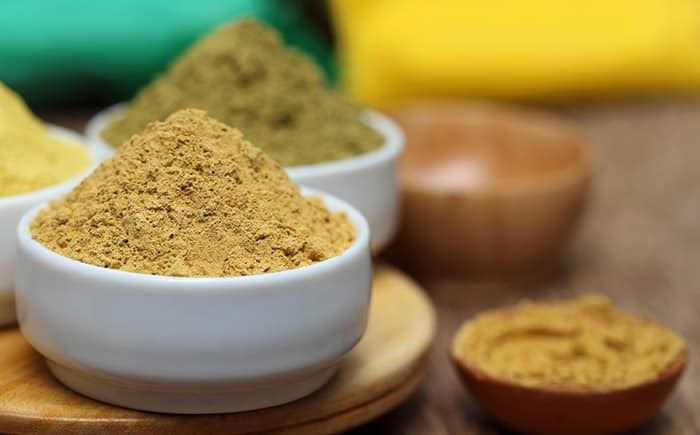 This homemade face pack uses gram flour and lemon to keep the oil production in control. 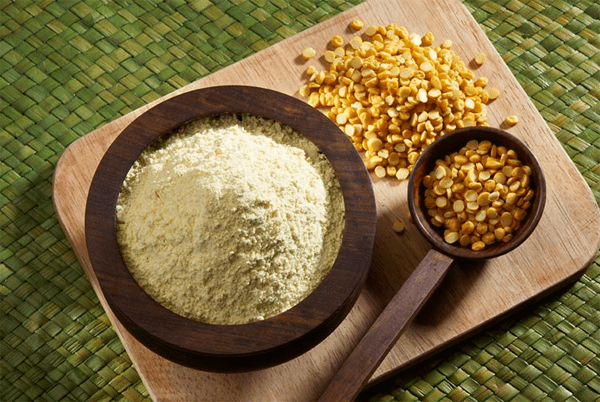 The gram flour is an excellent remedy to control the sebum oil secretion on your face and to tighten the pores. When combined with lemon juice its efficiency increases further making it an ultimate face pack for oily skin. 1. Take 1 tablespoon of gram flour and 1 tablespoon of lemon juice. 2. Mix them well, if required add a few drops of water and make a paste out of it. 3. Once mashed thoroughly, apply the face pack all over your face. 4. Let it sit for good 20 minutes. 5. Next, wash your face with water. Do this daily to keep the oil away from your skin. This one is actually a DIY homemade face scrub for oily skin. It is an excellent exfoliator and skin lightening homemade face pack. Rubbing it on your face will unclog the pores and control the excess oil secretion too. In addition to this, it can also reduce skin ageing. Steps To Prepare The Mask? 1. Take 1 medium-size ripe tomato. Mash it up. 2. To it add 1 tablespoon of sugar. 3. Apply the scrub to your face and neck. 4. Rub it for good 5 minutes slowly in circular motions. 5. Next, wash your face with water. 6. Do it thrice a week for absolute relief. You must be knowing the advantages of these summer fruits. They are filled with water and nutrients to keep your body cool and fresh. Cucumber, when combined with watermelon, can significantly clean up the pores from inside which ultimately eliminate the greasiness on the face. In addition to this, it keeps your skin well hydrated. 1. Take a few slices of watermelon and cucumber. Blend them to make a paste out if it. 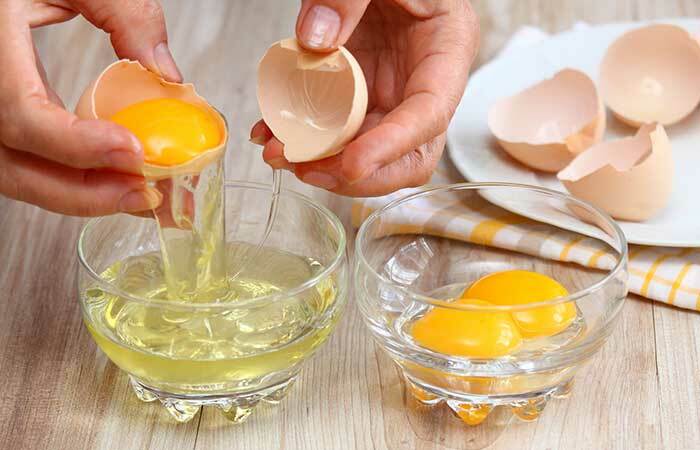 Egg whites and lemon juice are your best friend if you suffer from oily skin. Both the ingredients make an excellent homemade face pack for oily skin. The acidic nature of lemon absorbs all the excess oil from your skin. When lemon is mixed along with egg white, it can keep your skin healthy and flawless. 1. Take an egg, pour out the white from it. 2. To it add 1 tablespoon of freshly squeezed lemon. Mix them well. 3. Apply it all over your face. 4. Leave it until it dries completely. 5. Wash it off and apply it on alternate days to get absolute relief. 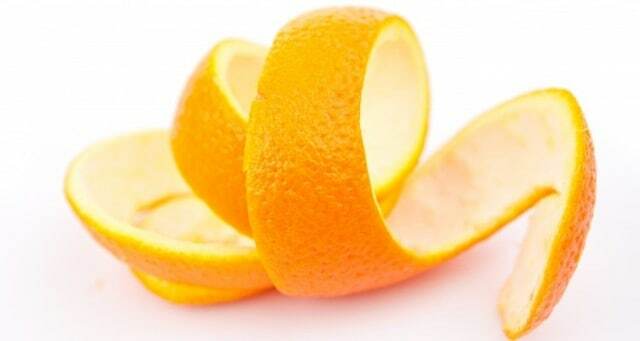 Orange peel and pulp both of them are skin friendly agents. You can make a worthy homemade face pack for oily skin using any of it. They help to reduce the oil, lighten skin, and bring back the glow on your face. You can use orange pulp or orange peel powder to make this face pack for oily skin. 1. Take 2 tablespoons of orange pulp or orange peel powder whatever is easily available. 2. Apply it on your face. When applying orange peel powder mix a few drops of rose water with it to make a paste. 3. Apply the face pack all over your face. 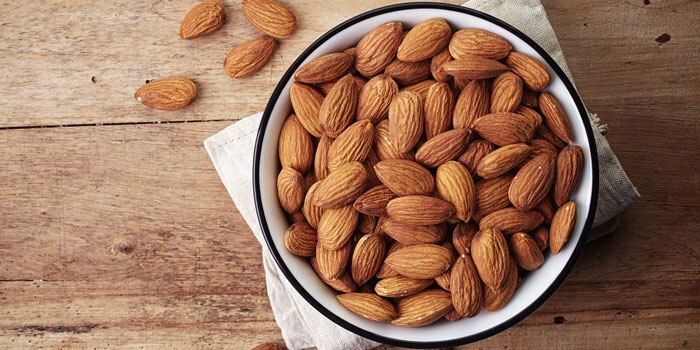 Almonds can not only exfoliate your skin well but can also remove the excess oil from your face. Though a bit expensive but can do wonders. 1. Take 3-5 almonds soak them overnight. 2. Next morning, make a paste out of it. 3. To the prepared paste add two tablespoons of honey. Mix them well. 4. Apply it to your face. 5. Once dried wash your face with water. Do it 3-4 times a week for absolute relief from oily skin. Banana is gentle for your skin. It can hydrate your face, keep it glowing, and also help to control oil. 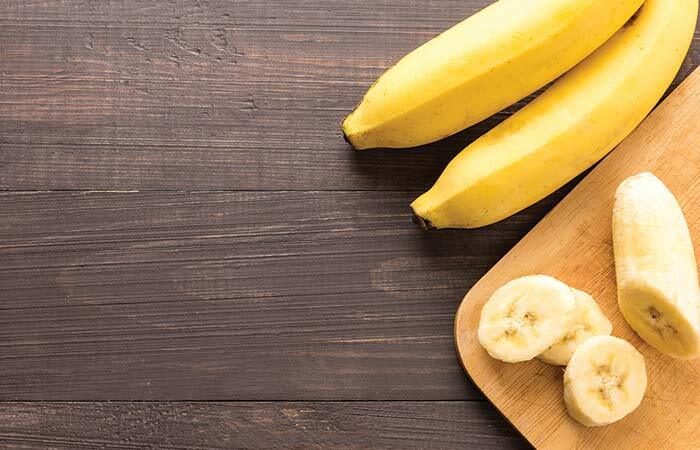 You have to add lemon and honey along with bananas to make an overall fortifying homemade face pack for your face. 1. Take a ripe banana, mash it. To it add 1 tablespoon of lemon juice and 1 tablespoon of honey. 3. Apply it to your face and leave it for good 15 minutes. 4. Next, wash your face and do it twice a week to eliminate oily skin problem completely. 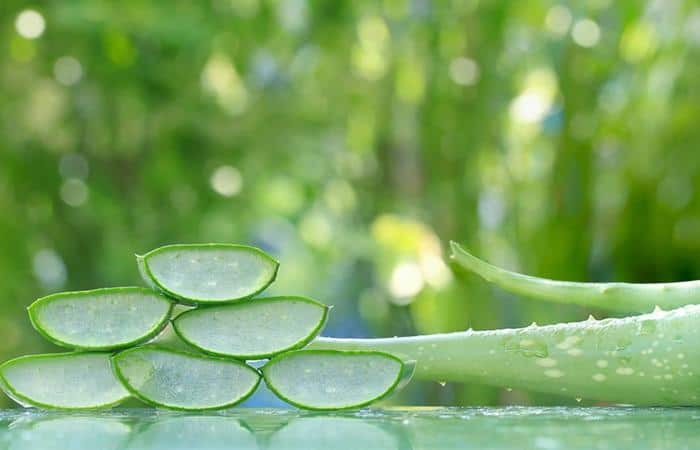 Various scientific studies boost the skin-enhancing properties of Aloe vera. Aloe vera, when used daily, can effectively control sebum oil secretion on your face. 1. Take a fresh aloe vera leaves and scoop out the pulp from it. If a fresh leaf is not available you can use organic aloe vera gel. 2. Apply a thin layer of aloe vera gel all over your face. 3. Prefer applying it overnight and then washing it off with water in morning. 4. Do it daily before going to bed for good results. You won’t believe even oils can prevent oily skin. They are the easiest homemade face packs for oily skin and acne. 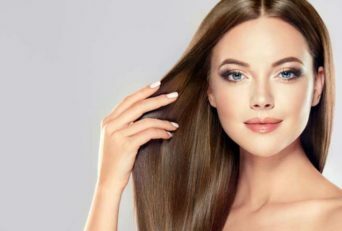 Experts believe that jojoba oil mimics sebum on the skin so they can successfully trick the sebaceous glands to produce less sebum. This will ultimately keep the oil levels balanced. 2. Apply a thin layer of oil all over your face. 3. Massage it will for good 5-7 minutes. 4. Prefer applying it overnight and then washing it off with water in morning. 5. Do it daily before going to bed for good results. 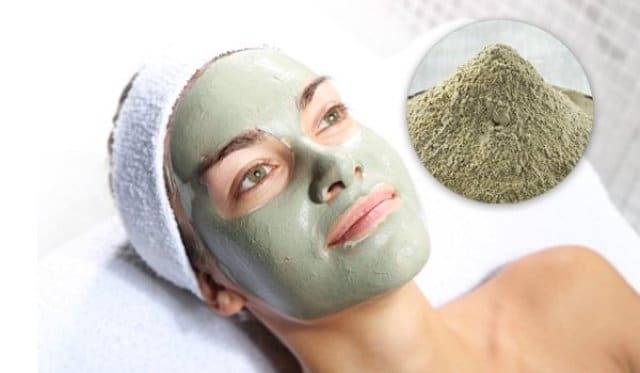 Multani Mitti is used for ages to control oily skin, acne, and pimples. It has magnesium chlorine in it that can reduce the excess oil secretion and control pimple. 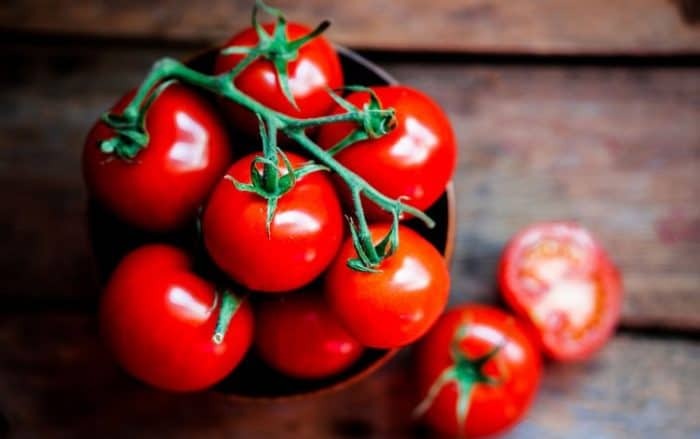 In addition to this, it also has essential minerals to keep the skin healthy and fresh. 1. Take 2 tablespoons of Multani Mitti. 2. To it add 1 tablespoon of rose water. Mix them well. 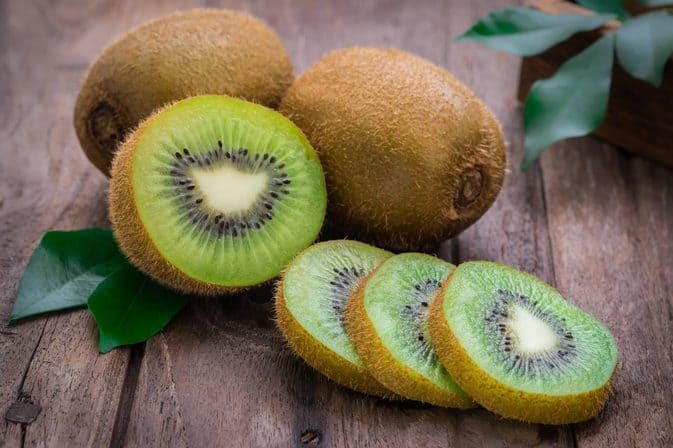 Kiwi help to promote skin complexion and remove dullness from your face. It is rich in Vitamin C that controls the secretion of the sebaceous glands. Along with it, it can also fade suntan from your face. 1. Take 1 kiwi, peel it, and mash it thoroughly. 2. Apply the mashed fruit all over your face. 3. Leave it until it dries completely. 5. Wash it off and apply it daily for the oil-free skin. 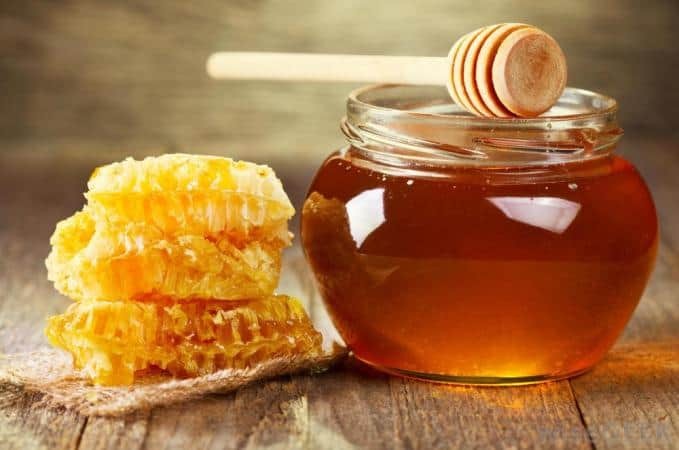 Honey is a skin rejuvenating agent. It has properties to make your skin healthy and flawless. When combined with lemon juice this is believed to be the best DIY facemask for oily skin and acne. 1. Take 1 tablespoon f honey and 1 tablespoon of lemon juice. 2. Mix it well. Apply it to your face. 3. Let it dry. Once dry wash it off or peel it off slowly. 4. Do this daily until you get satisfactory results. Oats are a very good exfoliating agent. They can remove the dead skin cells from your face, clean the dirt, and unclog the pores. All these together help to control the sebaceous glands to produce less oil. 1. Take 2 tablespoons of oats and 4 tablespoons of milk. 2. Mix them together and apply it to your face. 3. Rub the face pack gently in circular motions especially on the oil-prone areas. 4. Do it for five minutes and then wash it off with water. Clay masks are best DIY homemade face masks for blackheads, oily skin, and acne. Clay contains minerals like smectite or bentonite can absorb oils which reduces skin from greasiness and sebum levels without irritating the skin. Use them occasionally to get relief from the skin. 1. Take 2 tablespoons of clay. Buy only the pure organic clay from a reputed brand. 2. Mix 2 tablespoon of rose water along with it. 3. Make a paste and apply it all over your face. 4. Let it dry completely and then wash off with water. 5. Do this once a week to control oil secretion on your face. 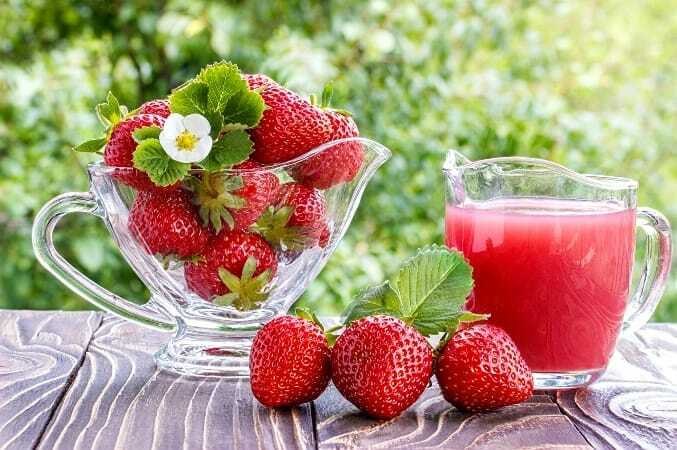 Strawberries are acidic in nature so can effectively remove the excess oil form face. It does so by absorbing the oil form face. The face pack uses strawberries and yoghurt to remove the excess oil and at the same time keep the skin hydrated. They make the best homemade face pack for oily skin. 1. Take 3-4 strawberries and make a paste out of it. 2. To the paste add 1 tablespoon of yoghurt and mix it well. 3. Let it dry. Once dry wash it off thoroughly. Apple is efficient to remove dead skin cells and also act as a mild oil-absorbing agent. The face pack combines apple and oatmeal to enhance the efficiency of the pack. Both of them together, remove the impurities and oil from the face. This one is a known skin-nourishing face pack for the sensitive oily skin. 1. Take few slices of apple and 1 tablespoon of yoghurt. 2. Mix them in a blender to form a paste. Clove oil is antimicrobial, antifungal, antiseptic, antiviral, aphrodisiac and stimulant properties. It is a very good skin care product. Clove oil can significantly control oil, acne, and sagging dull skin. Applying clove oil daily can make your face flawless. 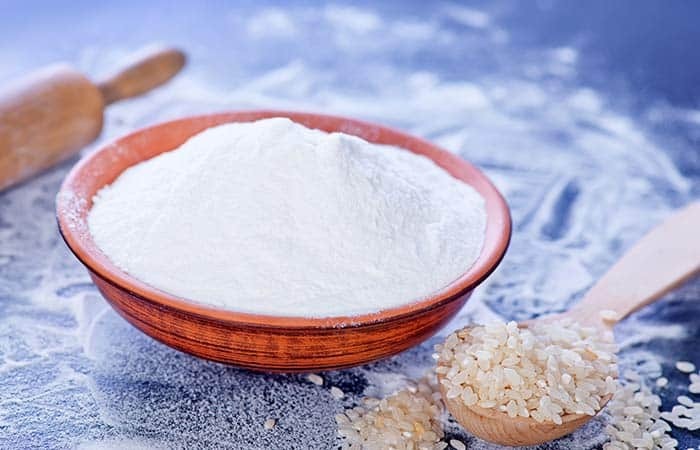 Rice flour makes a very good face pack for exfoliating the skin. It removes all the dead skin cells, impurities, and dirt from your face. You have to mix rice flour with honey to form a creamy consistency homemade face pack for oily skin and acne. Daily application of this face pack will make you look younger and fresh at all time. 1. Take 1 tablespoon of rice flour and 1 tablespoon of honey. 2. Mix them well to form a creamy consistency paste. 3. Apply the paste all over your face. 4. Leave it on your face for good 15 minutes or until its dry. 5. Wash it off with water and do this for three times a week for the oil-free skin. 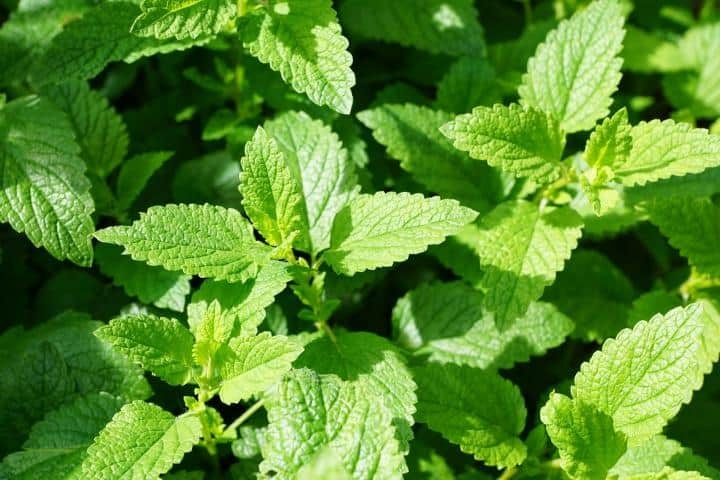 Mint leaves are very good to cure various skin conditions like blackheads, acne, pimple, and oily face. It is a very good antiseptic and a natural cleanser for your skin. For the face pack, you have to combine it with rose water or honey to increase its efficiency. 1. Take few mint leave and grind it form a paste. 2. To the paste add 1 tablespoon of rose water or honey whichever is available. Rose water has anti-inflammatory properties. It can remove redness, blemishes, dirt, and clean up the clogged pores too. 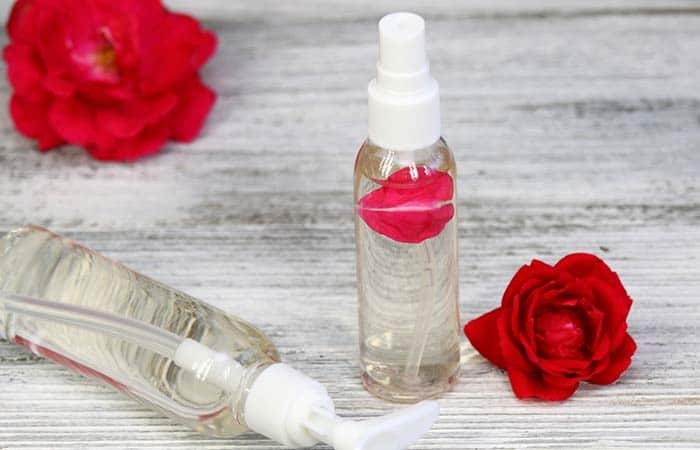 it’s daily application can also absorb the excess oil from your face and eventually in the longer run train your sebaceous glands to release less oil. 1. Take few drops of rose water. 2. Apply it all over your face. 3. Massage it will for good 5-7 minutes until it completely absorbs. This is one of the ideal DIY face packs for oily skin, acne, and blackheads. It uses all the skin-benefitting agent that will remove all the excess oil from your skin and make your face look youthful. 1. Take 1 ripe banana, 1 orange pulp, and 1 teaspoon of honey. 2. Mix all the ingredients well in a blender to form a paste. 4. Let it sit for 30 minutes and then wash off. 5. Do it once a week for good results. 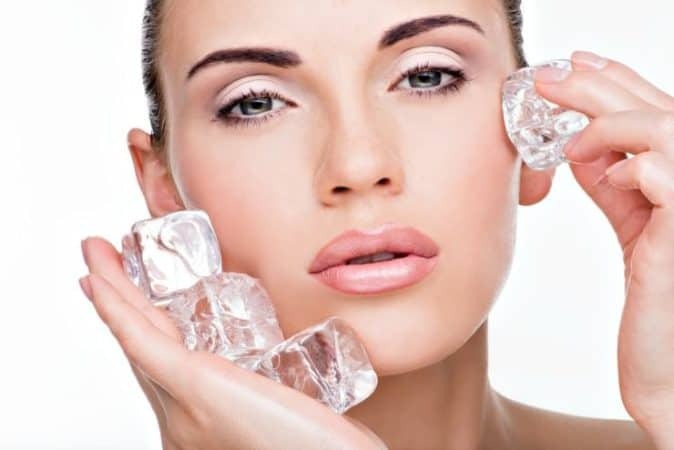 You won’t believe ice can significantly reduce skin problems like redness, excess oil, and skin irritation. Ice application on a regular basis can give you superb results. 1. Take one ice cube and wrap it in a towel. 2. Massage it all over your face for good 5 minutes. Consider massaging in circular motions. 3. Do it daily for a soft and supple skin. Oily face is a common problem faced by many of us. It happens due to bad skin care routines that tend to increase the sebum oil secretion. Finding the permanent solution of this problems lies only in the homemade remedies. Doing something that is natural and side-effect free is always recommended and desired. The DIY face pack for oily skin mentioned above are excellent and work effectively to reduce the oil secretion. They won’t give you desirable result in one day instead of using it religiously will completely eradicate your problem and give you a soft supple glowing skin. 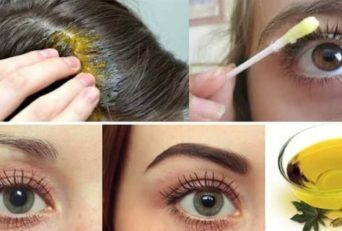 How To Make Homemade Natural Eye Cream?